The present work describes the inhibition studies of free as well as immobilized urease by different heavy metals. Porous silicon (PS) films prepared by electrochemical etching were used for urease immobilization by physical adsorption. The enzyme was subjected to varying concentrations of Cr6+, Cr3+, Cu2+, Fe2+, Cd2+ and Ni2+ and analyzed for the variation in the activity. To study the effect of other heavy metals on the interaction of urease and Cr6+, free as well as immobilized urease was subjected to the combination of each metal ion with Cr6+. Results proved the sensitivity of free as well as immobilized urease towards heavy metals by observed reduction in activity. Immobilized urease showed less degree of inhibition compared to free urease when tested for inhibition by individual metal ions and in combination with Cr6+. IC50 values were found higher for inhibition by the combination of metal ions with Cr6+. Interaction of heavy metal ions with functional groups in active site of urease and limitations of mass transfer are the two factors responsible for the variation in activity of urease. Relation between the variation of urease activity and amount of heavy metals can be applied in biosensor development for determining the concentration of Cr6+ present in the water samples. The authors gratefully acknowledge the Department of Science and Technology (DST), India for funding the research under DST-WTI (Water Technology Initiative) (WTI/2015/113). 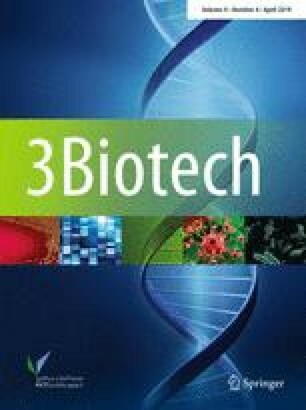 The authors thank the Department of Biotechnology and Medical Engineering and the Department of Electrical Engineering of National Institute of Technology Rourkela, India for providing the research facility.